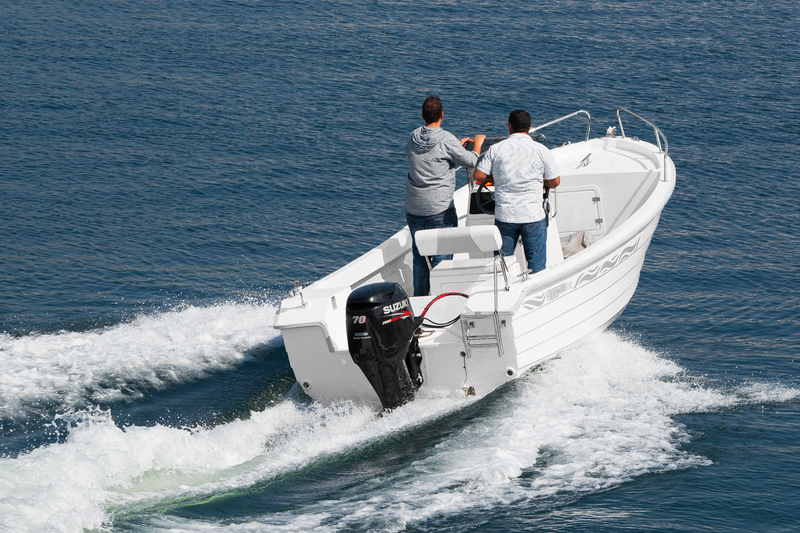 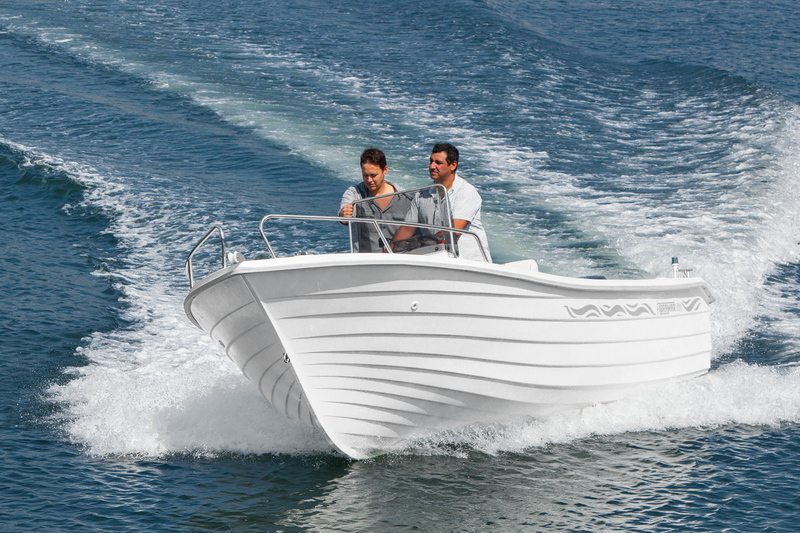 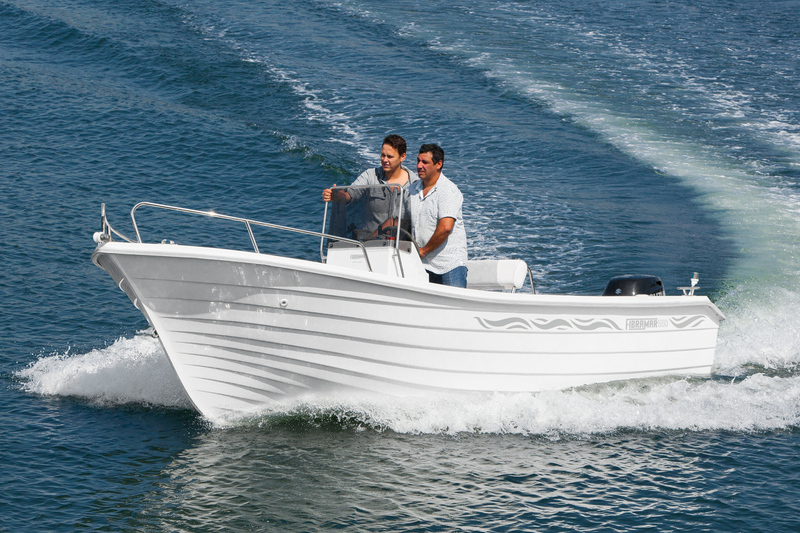 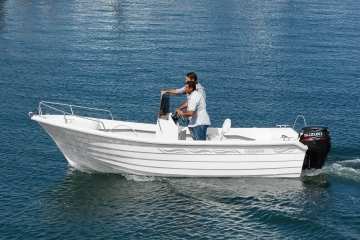 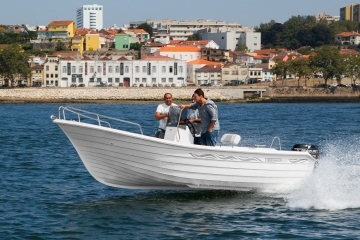 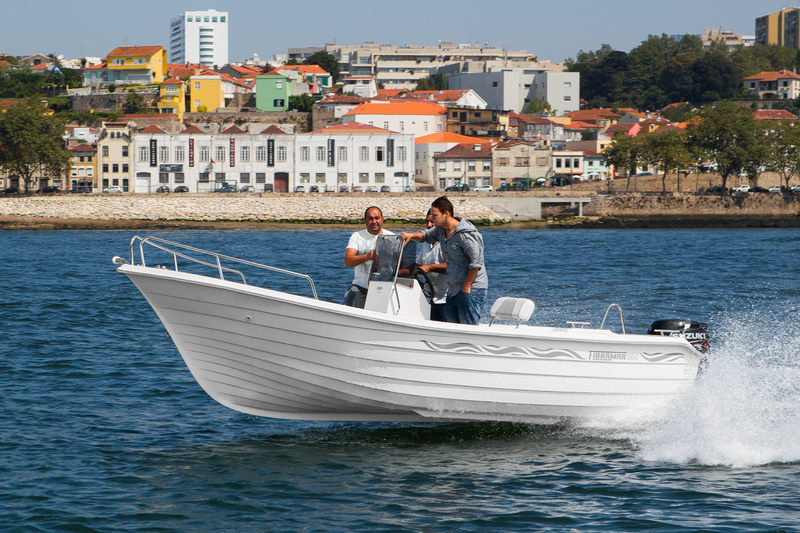 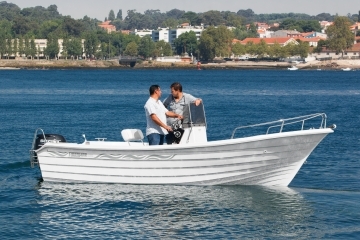 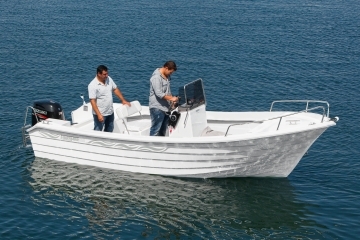 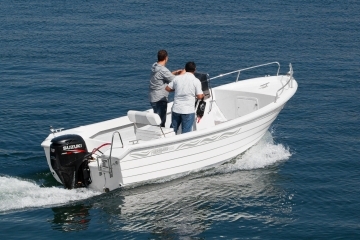 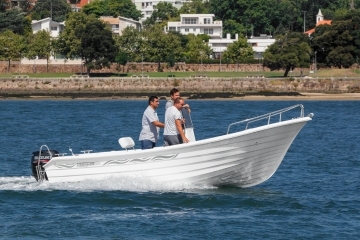 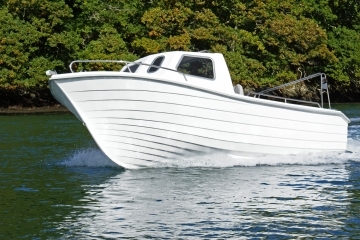 The 550 Pescador is a model designed for sport fishing. The stability is notable even in rough seas. Its compact size allows you to maneuver it easily. 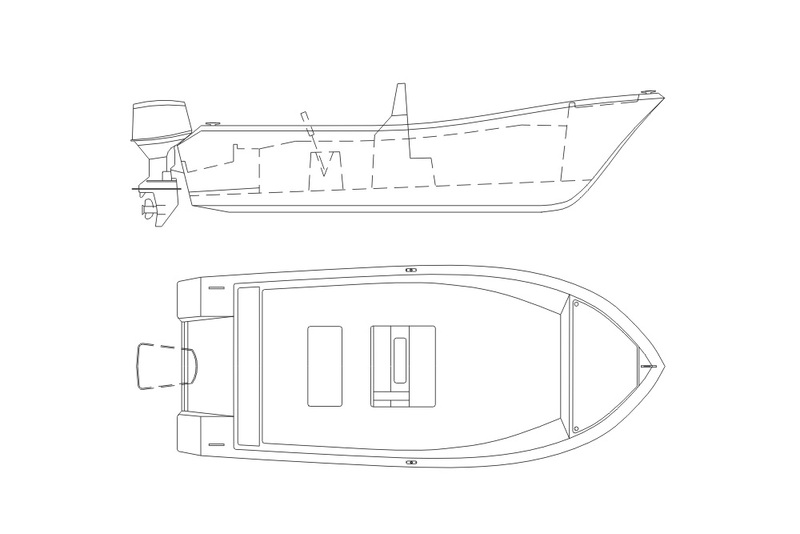 We opted for a minimalist design and décor: a locker at the bow, central benches and benches in the rear. 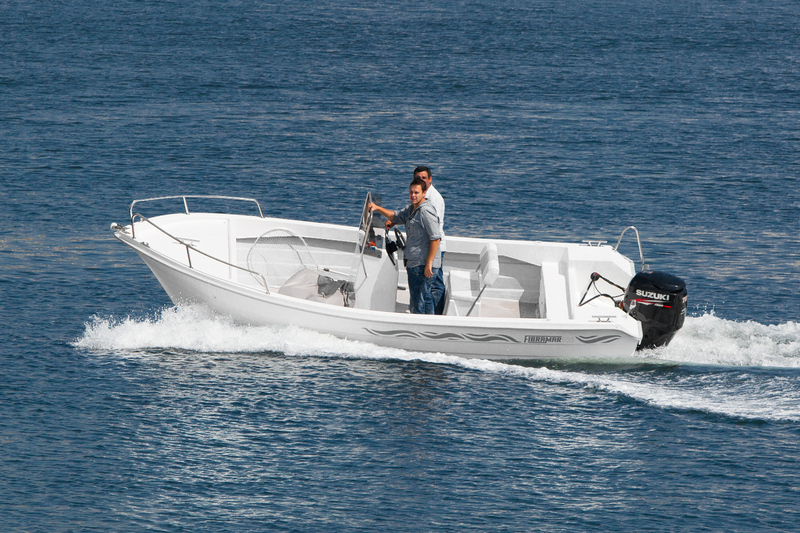 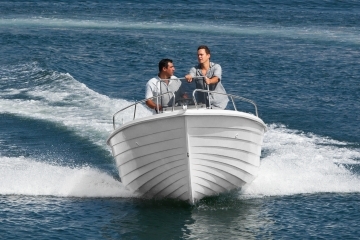 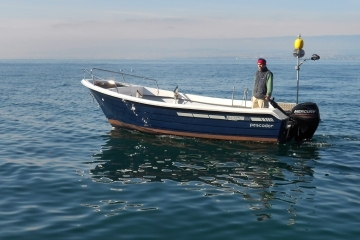 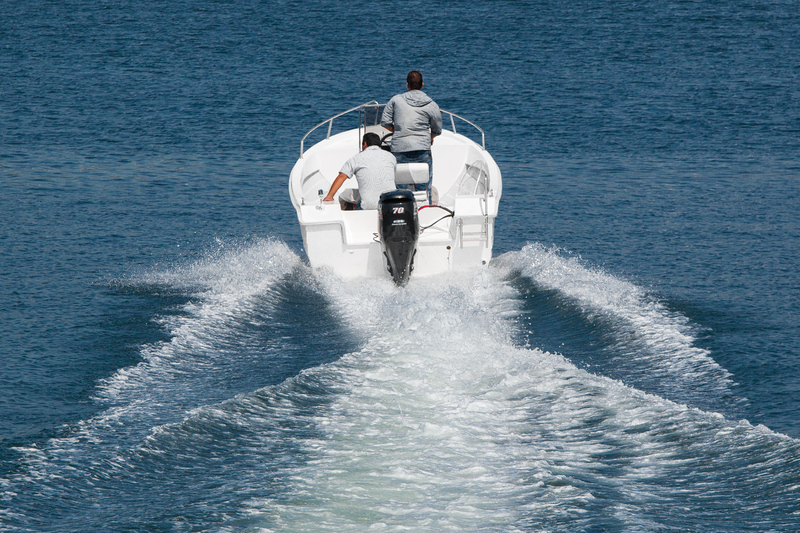 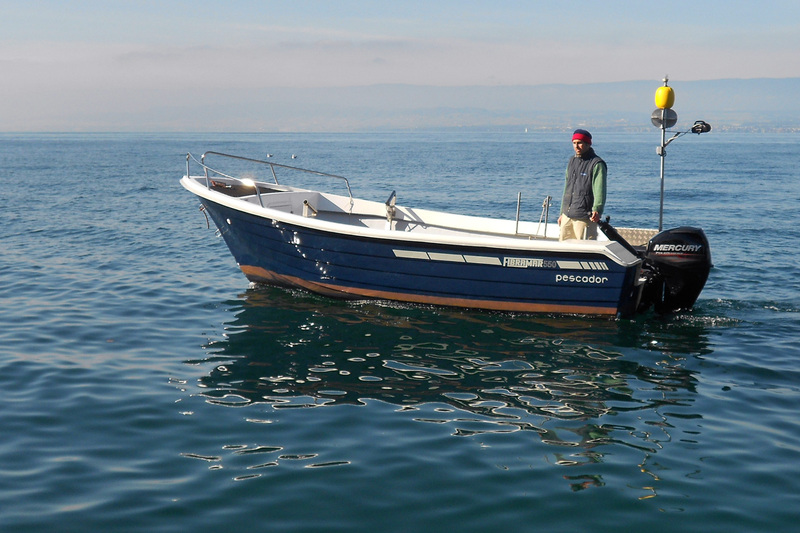 In the version with the center console (optional), it wins efficacy in terms of freedom of the circulation on board. 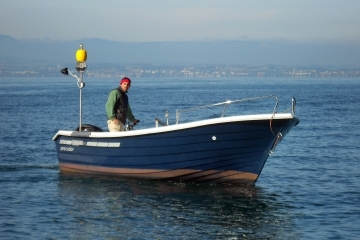 It is also possible to install a buddy (optional, as shown). 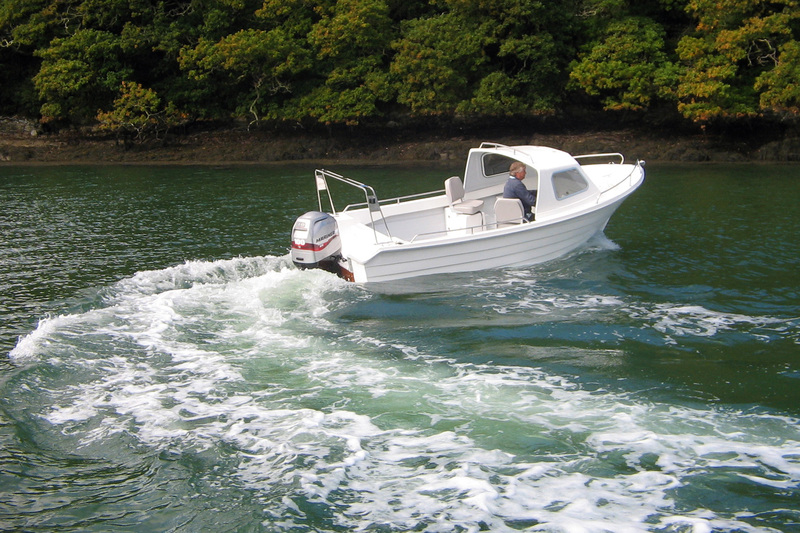 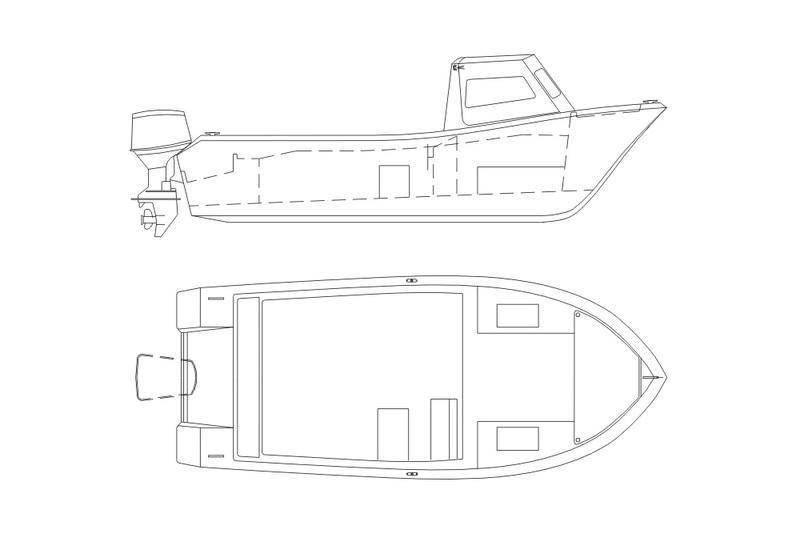 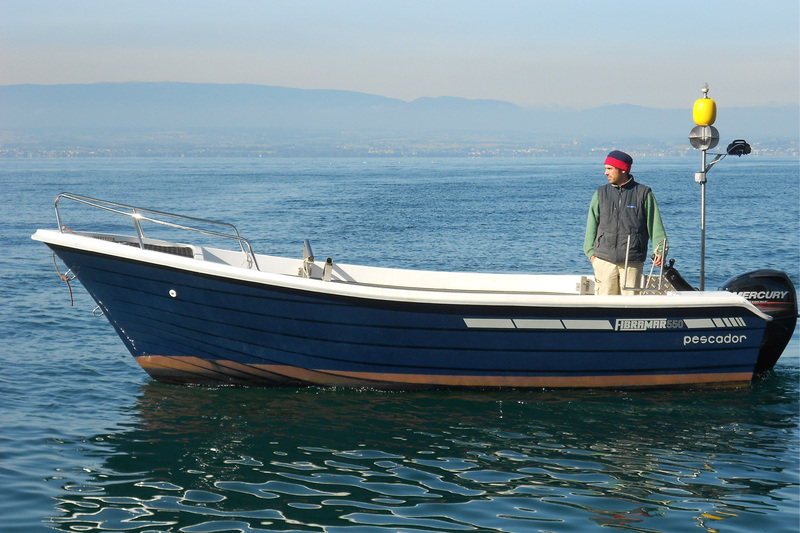 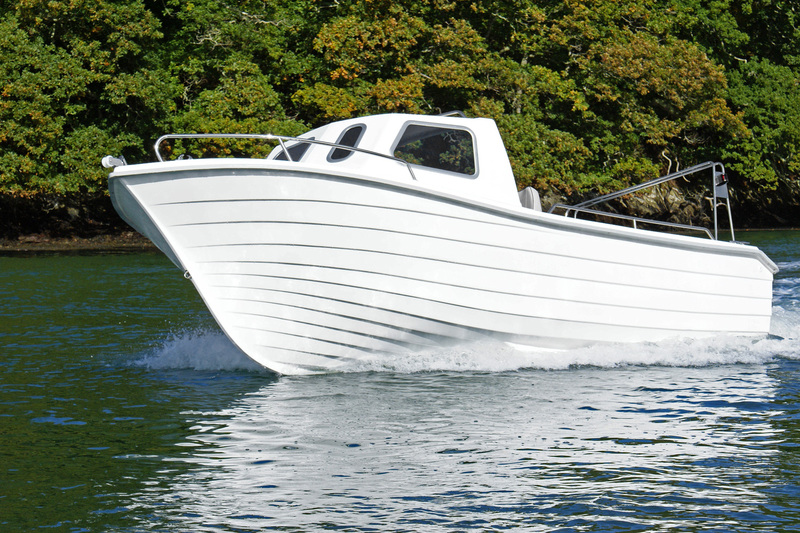 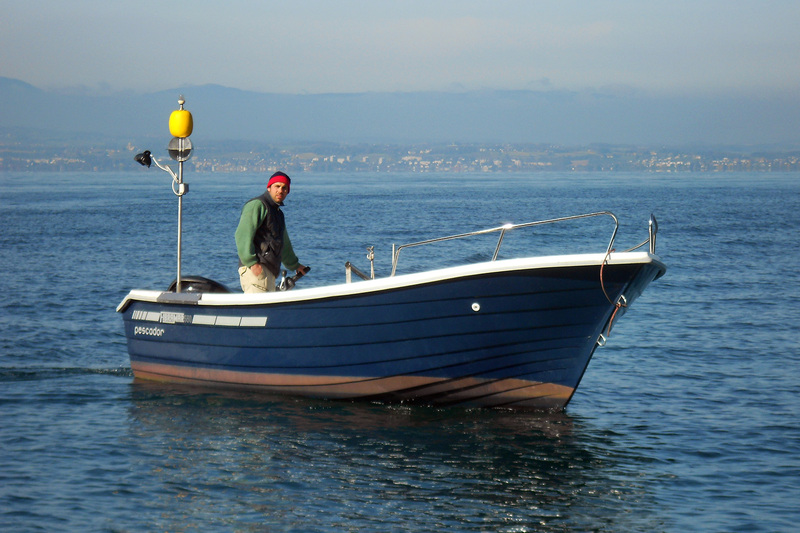 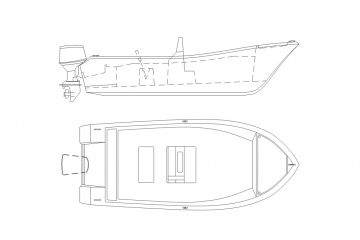 Cleats, skene bow chocks, U-bolt bow eye, bow rail, embedded benches at the stern, two transverse benches, foldable ladder, bow roller, compartments for storage at bow and stern with locks, self-draining deck, non-slip deck. 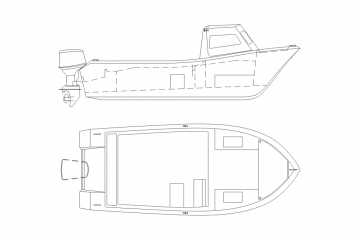 Color of the hull, central console with bench, storage locker/seat with tilting back, side console, cuddy, handrails, side handrails, transom rail, rod holders, T-top.